Congratulations to Jake Batenhorst who was chosen as a 1st Team All Area defensive back. Also included in the Coaches Honor Roll for the Knights were Chris Riddle, Jake Batenhorst, Jake Mumby, Chase Goddard, and Mick Steier. All-State Honorable Mention: Chris Riddle, Jake Batenhorst, Jake Mumby, Chase Goddard, and Mick Steier. 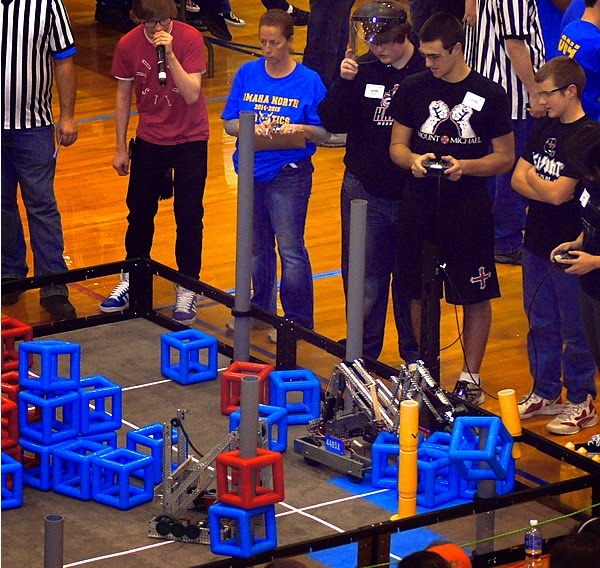 Congratulations to the Mount Michael Knights who took part in the competition at the annual North High School robotics tournament. Two of the four Knight teams went into the final rounds on Saturday. 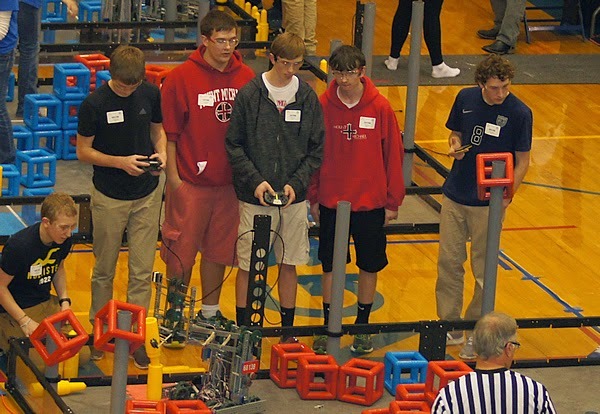 , comprised of : Chase Goddard, Lukas Williams, Blake Worsham, Ethan Tilske, and Will Fleissner took their robot to the quarter finals in their division. Team 1970 K, the "Knight Shift", comprised of: Nick Huetter, Reilly Jackson, Nolan Huetter, and Nolan Gottsch took their robot to the quarter finals and then onward into the semi finals of their division. Eighty teams were registered for the event at the high school level, and came from several states. Team 1970 B, the "Talladega Knights"
Team 1970 K, the "Knight Shift"